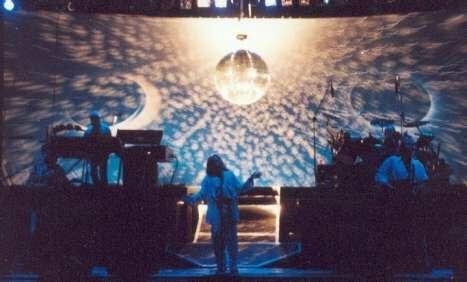 This was my first live show of Yes, Eventhough my favorite Yes lineup was not up there, I did greatly enjoyed the concert. The concert was played in an open amphitheater near the Pacific Ocean at the begining of the Spring on a marvelous day. 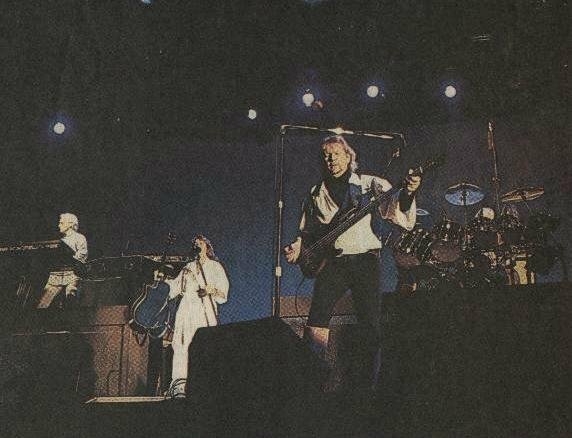 This was actually the first time that Yes visited Chile, and this, the first concert of two (the other one in the capital Santiago) I remember Jon Anderson and Trevor Rabin holding the Chilean flag, at the begining backwards, and then in the right possition, it was very funny and the people enjoyed the band's presence, as well as the band enjoyed the audience's respond. The show was pristine, the performance and the sound. I think that also acoustically was better than the one in Santiago, due to the acoustical qualities of the arena. Yes offer two shows in two differents city in Chile. In fact, the first concert was celebrate in Vi�a del Mar, a city near 120 km. of Santiago, the 18 september 1994, at 8:00 PM. This day is the National Day of Chile and i remember Jon Anderson with the National flag in his shoulders.